Boo! It's Friday and the final day of our Ghouls & Goodies inspiration and your last chance to be in the running for one of six spooky prize packs! 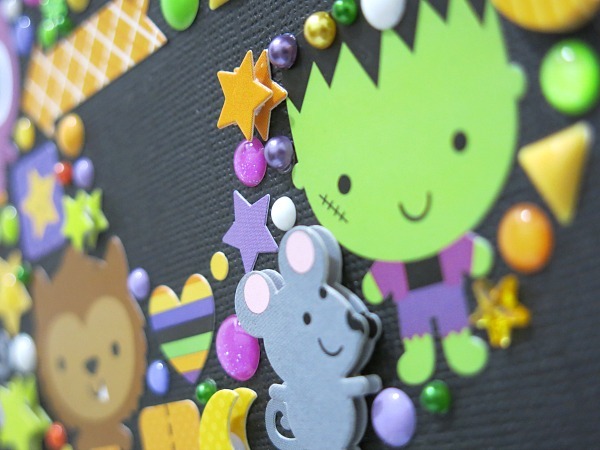 It's Melinda with you today and once again I'm here to show you how to use a Halloween themed collection for a completely non-Halloween project. You see... unbelievably (as far as my kids are concerned) we don't celebrate Halloween in Australia so fun photos of costumed children collecting sweets just doesn't happen on the farm! 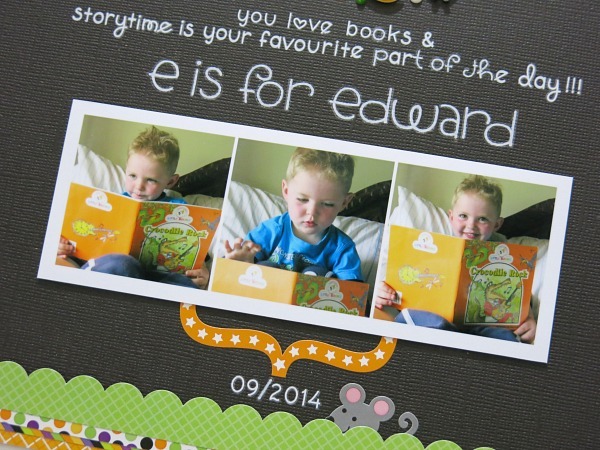 Now seeing as there are so many gorgeous wee characters in this collection I decided to use them to portray a book character theme and share how my little munchkin loves his story time. And no matter how hard I try, I still can't help myself when it comes to making a collage on my page using all the Doodlebug embellishments. I might outgrow it one day... maybe? Don't forget you only have until midnight tonight, Friday 12th September to enter the giveaway. We are giving away some amazing boxes filled with an assortment of our new Ghouls & Goodies Collection to SIX lucky winners. We are going to be looking throughout the next couple of weeks as we feature this new collection. You can continue to support us each day and complete any or all of the following. The more you enter the more chances you have to win!! Melinda - I totally scraplifted the shadow box last year and everyone loved it and I will be doing the same with this. Thanks for showing us to think outside the box and use products for other ideas not just the theme that they appear to be.....thank you!!! You never cease to amaze me!!! This is fabulous Melinda !!! What a fun layout! I love the other use of Halloween items and the monogram! I pinned it on my Pinterest account: earlybirdcraft. Melinda is a scrapbooking genius. I love her! Pinned to Pinterest! Love how you use all the embellies; better than having them just lay around! Love this collection and started pinning!!! Oops! I also shared it too on FB! 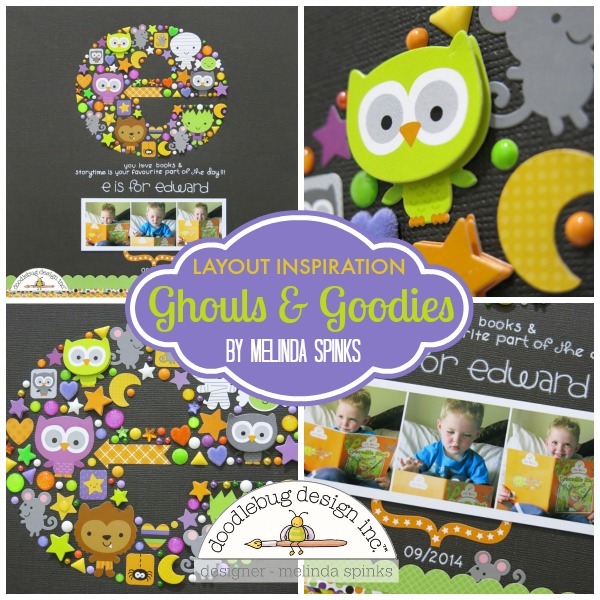 Your layout is ABSOLUTELY FABULOUS Melinda!!! 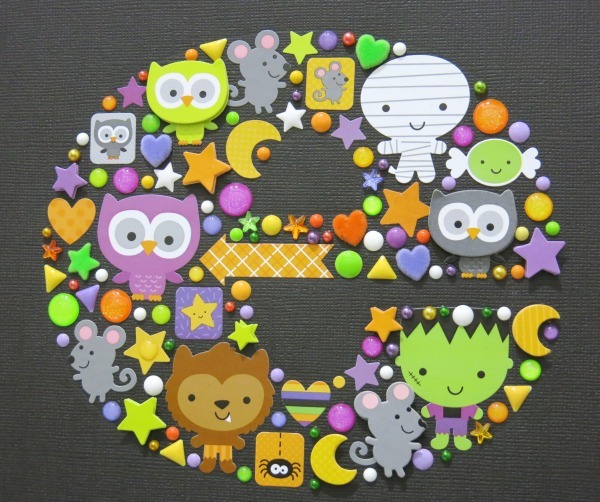 LOVE your mosaic "e" and LOVE your page design!!! This is adorable! I love the balck background, the font and all the Doodle pops. Beautiful pictures also! 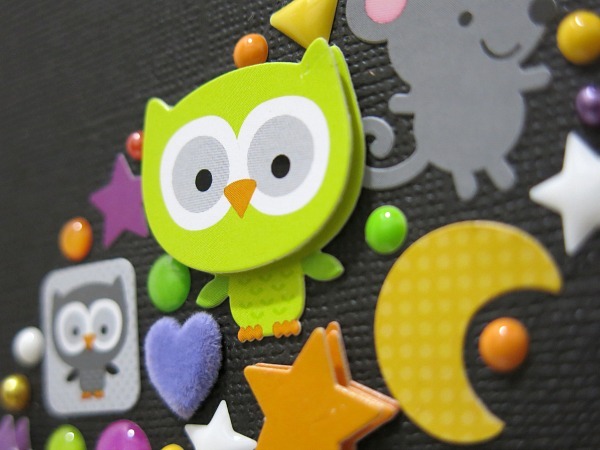 I pinned it to my Scrapbook pages and layouts board on Pinterest! Wow! This is super fun and perfectly cute! I love how you did your "e" and how you adapted these elements for a non-Halloween page! Thanks so much for sharing! I am so totally, completely, and absolutely impressed with this amazing layout!! Melinda is so good at making collages and this one is the best yet!! So gla she is pry of the Doodlebug Deign team cuz she seriously rocks!!! This is so original and fun....love it! LOVE this. The black background is fabulous with the white journaling. Wow, what a fantastic layout!! I love the way the e was designed, thanks for the inspiration. I pinned this awesome layout. I follow Doodlebug Design on Instagram! I love how she made the "e". I think I might make something like that to go in my classroom! 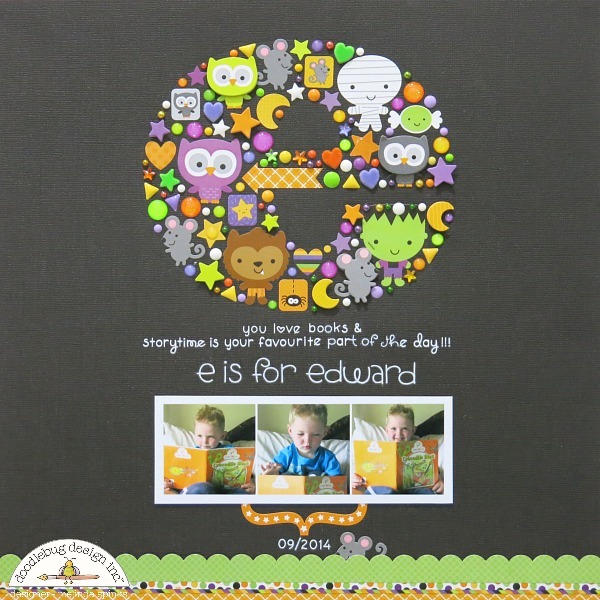 I love this awesome layout and how all of the embellishments makes the "e". Love this layout to bits!